Everyone wants to look and feel their best when exercising. Athletes like functional and stylish apparel. When training in a gym, school or university or outdoor track, you’ll want clothes that move well, but also look good. It’s important to find the right fit for the right sport so you can look stylish and stay cool while working up a sweat. Help a friend or loved one feel confident by giving sports apparel Christmas gifts this year. Moisture Wicking Clothing—The specialty fabric draws moisture away from the body, keeping skin happy, healthy and as dry as possible. Avoid “pit stains” and dripping sweat by using this handy fabric. Personal Trainer Gadgets—These cool gadgets monitor heart rates, act as a pedometer, record distance and measure intensity. Some hook up to an iPhone or personal computer to sync data and download workout plans. High-Quality Athletic Socks – Save sweaty feet from blisters and sores by giving extra cushion, moisture wicking fabrics and circulation boosters (diabetic socks). 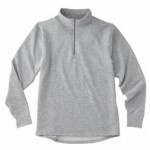 Outerwear—Cold weather sports like ice skating, snowboarding and skiing require specialty apparel. It’s important to regulate proper body temperature for peak performance, so good outerwear is essential. This includes jackets, gloves, rain gear, etc. Everyday Athletic Wear—Sports apparel has become so fashionable that it is commonly found in everyday activities. A good pair of yoga pants, support top, tracksuit or basketball shorts have their place both in and out of the gym. Casual items like these make great gift ideas. There are shoes for every type of sport out there, but none may be as basic and versatile than the lightweight running shoe. They’re cushy, supportive and available with various levels of ventilation. Everyone can find a use for the lightweight running shoe. The best part is—almost every major designer and/or brand name offers their own version. Custom or one-of-a-kind running shoes are hot this year. You can find these, and many other big names in sport apparel, in this directory. Sports related Christmas gifts are the best kind. They promote health and vitality, while giving kids and adults something to use on Christmas day!